Get ready for a boom — and not a sonic one, either. Shaw Air Force Base is accepting bids for a new development that will create 630 homes for military families in the area, and builders are in a frenzy trying to get in on the action. 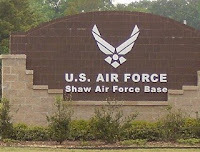 According to Chris Aamold, deputy commander of the 20th Civil Engineering Squadron, Shaw has been planning to privatize its military housing for the past 11 years, ever since the Housing Community Profile, a funded contracted study, determined that privatization was a necessity.